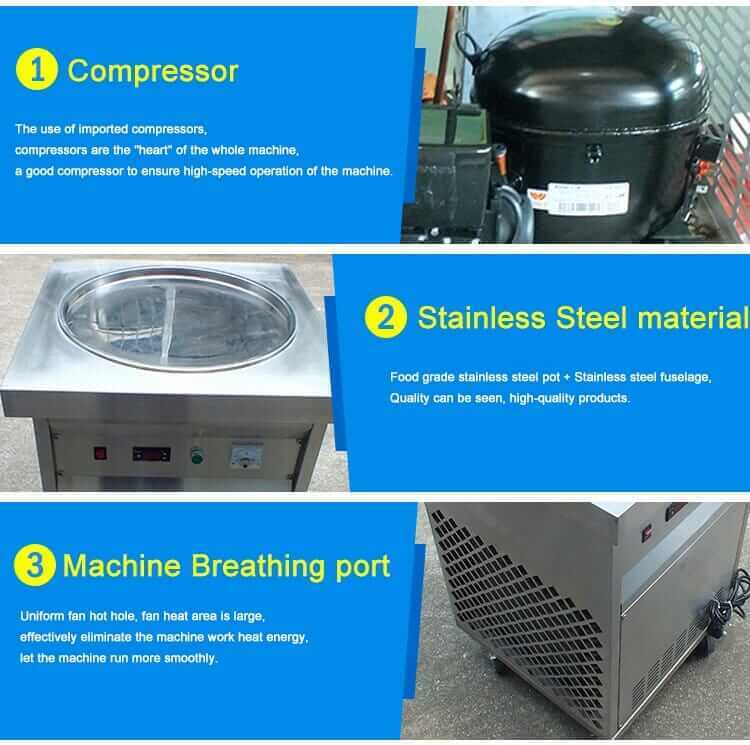 Commercial Double Square fried ice machine, fried ice cream machine. The fry ice cream machine rolls Refrigeration system is made of high-quality brass, the bottom tube is up to 100% soldering. This fried ice machine 2 square pots plus 10 hoppers, Use the state-of-art refrigeration technology on our machine to offer excellent design and good performance. Compact in size, light in weight, easy to move and safe to operate. This machine features Europe and America styled appearance equipped . It is durable and fit for various environment. When you receive the fried ice machine, please place it for 24 hours before use. 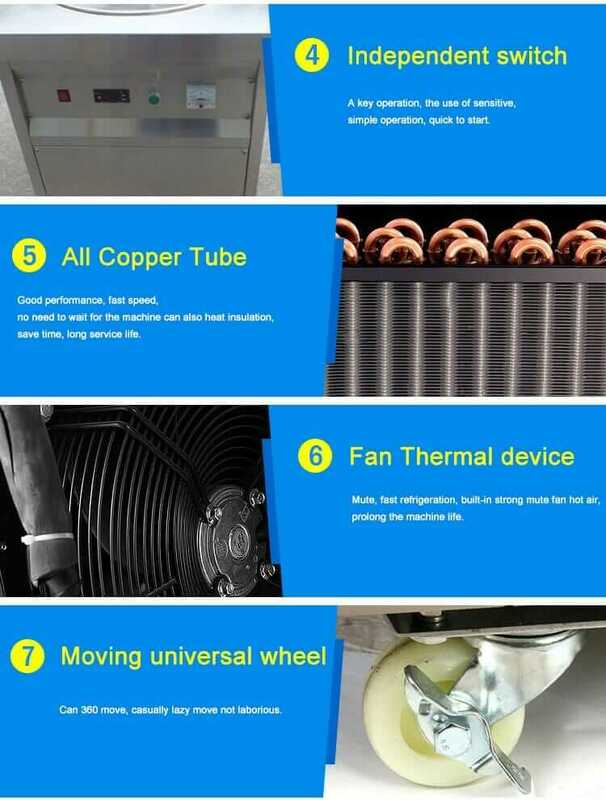 This action can prevent the freezing oil in the compressor from going into the tube which may damage the compressor and impact the cooling effect.